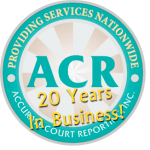 Court Reporting – Accurate Court Reporting, Inc.
Free Emailed Quotes Provided With Just One Call! A court reporter, also called a "stenographer", is a person who transcribes spoken or recorded speech into written form. They use machine shorthand or voice writing equipment to produce official transcripts of court hearings, depositions and other official proceedings. ​US Court reporters are critical to any legal proceeding and other meetings where it is important to have a precise, verbatim record of what was said and sometimes expressed. What's Included with Our Legal Reporting Services? Polite and courteous on-site reporters and videographers as well as in-house production associates that complete your transcript and/or video orders quickly and accurately. Printed Transcripts, Exhibits and DVD copies of your video (if a videographer was ordered). Unlimited access to our secure online repository, Witness Warehouse. Thank you for checking the status of the depo on 7/6/12. I talked to Mr. Gibbs and he asked me to let you know that the depo was perfectly handled by the videographer and reporter. He was very pleased with their work. I was the contact with Stephanie Griffith who did a fantastic job. She was very professional and polite and answered all of my questions. Stephanie took the burden from me and set up the location and did all requested of her. She communicated and confirmed the depo with me as the date neared. She made this scheduling very pleasant. 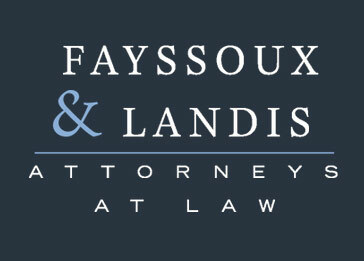 Paige Wilson	Paralegal for Fayssoux Law Firm, P.A. Thank you, I spoke with Mr. Fayssoux this morning and he said that all went well and that he was impressed with your company. Thank you so much and I will keep you in my rolodex in case we have a need for a court reporter in your area.